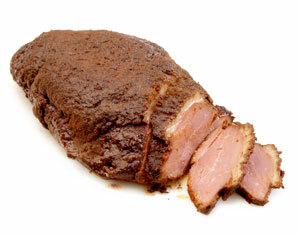 A whole, wood-smoked duck breast from Dordogne. Vaccuum packed to preserve the flavor of this amazing product - you've got to taste it to believe it! Delicious! Best smoked duck I've ever tasted.